The 2018 Mazda3 is packed full of excellent features and systems, with plenty of power to give you! This great vehicle is guaranteed to give you the most of your drive, taking your daily commute to the next level and beyond! 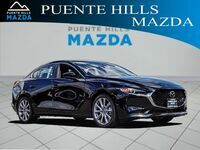 However, despite this great vehicle’s many excellent features, systems, and engine power, the new 2018 Mazda3 isn’t without its competition! The 2018 Volkswagen Jetta is packed with features that make it hard to compete with, making it a tough competitor for the new Mazda3! 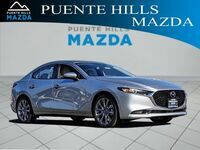 Thankfully, when it comes to comparing vehicles and their features, we at Puente Hills Mazda know a thing or two! We’re experts, and we have information on models and their features readily at hand and know just how to find the best deal! Look at the chart below to see how these vehicles compare, and to find the best deal! 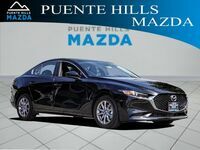 As seen from the chart above, the 2018 Mazda3 and the 2018 Volkswagen Jetta are comparable in many categories! They have a very similar front legroom and horsepower output, though the 2018 Mazda3 has the lead by a small margin. However, the new Mazda3 has a clear edge when it comes to additional features. It offers standard halogen headlights, which the new Volkswagen Jetta does not offer even as an available feature. Additionally, the new 2018 Mazda3 also features more available technology systems than the 2018 Volkswagen Jetta! These features come in a variety of forms, as seen from the chart above, with one of them being the push button start system. This system is not available on the new Volkswagen Jetta. 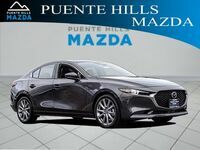 So, if you’re searching for a great vehicle that has a ton of power, technology, and safety systems, look no further than the 2018 Mazda3! 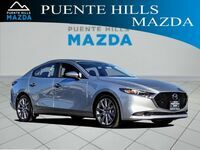 With its great list of features, the new 2018 Mazda3 is perfect for those that want to take their drive to the next level! 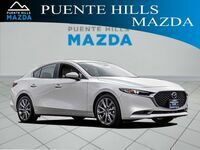 Contact us at Puente Hills Mazda today to learn more!